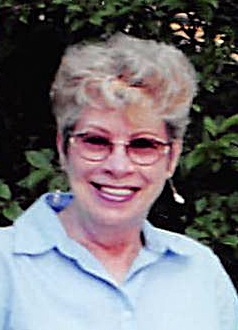 Mrs. Kathryn Alice Aiken Billings, 75, of Winston-Salem passed away peacefully Monday, April 15, 2019 at her residence. Kathryn was born in Cherokee County, North Carolina to the late Charlie and Ebba Pack Aiken on April 27, 1943. She was a longtime member of Gospel Light Baptist Church. Kathryn enjoyed traveling with her family, and going on trips with her sisters. She loved gardening, especially proud of her flowers. Most of all Kathryn enjoyed being a grandmother. She was preceded in death by her husband, Paul R. Billings; step daughter, Sherry Billings; sisters, Jean Black and Margaret Moorefield; brother, Kenneth Aiken. She is survived by a daughter, Rhonda Hurst and husband Troy; grandchildren, Chloe Grace Hurst; Harley Smith; Brennon Hurst and Alyssa Knight; sisters, Rebecca Chastain and Martha Crane. A funeral service will be held 12:00 PM, Thursday, April 18, 2019 at Hayworth-Miller Funeral Home, Silas Creek Parkway with Rev. Frank Shumate officiating. Family will receive friends, 10:30-11:45 AM. Committal will follow at Brims Grove Baptist Church, Pilot Mountain, NC. Online condolences may be sent at www.hayworth-miller.com.